Are you familiar with Barstool Sports’ comedic podcast named Pardon My Take (or PMT)? If you are, then, you are certainly familiar with one of the two hosts of the podcast popularly known as ‘Big Cat’. Big Cat’s real name is Dan Katz who is the focus of our attention here. Many of Big Cat’s fans love his show which pulls in up to 1.5 million listeners per episode. But many of the viewers are seeking to know more of Katz, especially behind the scene. So, here we bring you details about the podcaster. You will get to know the available facts about him such as his net worth as well as personal details (such as his girlfriend or wife in case he is married). So, read on. He was born Daniel Katz on January 30, 1985, in West Newton MA, in the United States of America. He also grew up in Newton. Although we do not have information about his elementary school, records show that he attended Newton North High School in Newtonville, Massachusetts. From Newton North High School Alumni Page, we can deduce that Dan Katz graduated from high school in 2003. But no further records are available to us on his education history. So, we cannot tell where, when or even whether he went to college or not. But in one of his jokes in an interview with GQ, he talks about his parents preferring that he was rather a doctor. Katz currently resides in Chicago Illinois. He commands a huge following of over 740,000 Twitter users via his @BarStoolBigCat handle. In addition, he has over 375,000 Instagram followers on his barstoolbigcat handle. 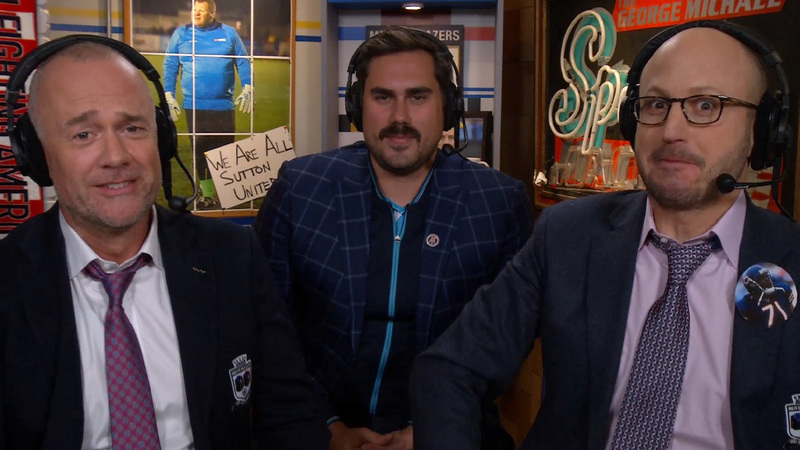 Dan Katz with ‘Men In Blazers’ Rog and Davo on NBC Sports Panic Room: Image source. The only source of earning we have been able to link to Dan Katz is his long-time career with Barstool Sports. Although we cannot tell when he started working with them, reports have it that he had been a Barstool contributor long before he created the Barstool Podcast show, Pardon My Take with Eric Sollenberger (popularly known as PFT Commenter). The story has it that PFT Commenter was working with SB Nation at the time but Dan Katz pulled him over to Barstool Sports via Twitter messages. So far, Pardon My Take is Dan Katz’s principal source of fame and fortune. Katz and PFT Commenter coined the name ‘Pardon My Take’ from two ESPN programs which are Pardon The Interruption and First Take. Even their logo at the time was a smart blending of the logos for the two ESPN programs. But they changed the logo when ESPN sent a cease-and-desist letter to Barstool Sports concerning it. Dan Katz would later explain in an interview that they did that on purpose to attract media attention to their new brainchild, Pardon My Take. Pardon My Take, which typically thrives on making fun of sports topics (especially with regards to NFL football) has so far been a magnificent success. It started airing on February 28, 2016. By March 2, 2016, it was already number one on the U.S. iTunes Chart. On March 3, 2016, it was #38 on the Canadian iTunes Chart. It is also reliably reported that the podcast now pulls in up to 1.5 views per episode. Although we cannot tell for certain what is the exact dollar value of this huge audience, it is obvious it should be running into millions of dollars per week. 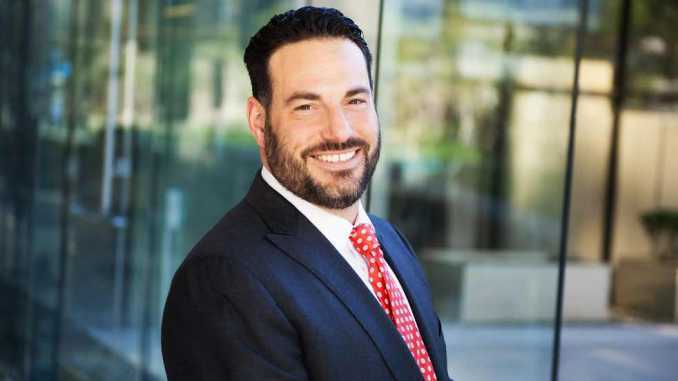 So, it is no surprise as it is widely reported that Dan Katz had an estimated net worth of $1 million in early 2018. This figure must have snowballed by the time you are reading this. Is Dan Katz Married? Who Is His Wife Or Girlfriend? One hot topic in the front burner among Dan Katz’s fans is about whether he is single or romantically involved. In one case, it was even speculated on the media that Big Cat is a misogynist. That was when he was having a media quarrel with the ESPN sportscaster Samantha Ponder (popularly known as Sam Ponder). That was in late 2017 when ESPN contracted Dan Katz and his Barstool twin PFT Commenter to host the show ‘Barstool Van Talk’ on ESPN2. But, Miss Sam Ponder openly showed she wasn’t particularly happy with the choice of the duo, citing disparaging statements she claimed Katz had been making about her. Although Katz denied the accusation by Sam Ponder, saying it was based on an article once written by Barstool founder David Portnoy, the speculation that Katz hated women still held sway in certain sections of the media and the public. So, some fans flocked to Dan Katz’s social media pages to vent their frustration on the matter. But, although Katz made it clear to inquisitive fans that he had a girlfriend who was living with him, he did not disclose any detail about this girlfriend of his – not so much as her name even. So far, we know Katz at least has a girlfriend. But, we don’t yet have any information that he ever broke up with her or that he married her. So, we presume his relationship status with her is still as a girlfriend, not as a wife.